Today is your last chance to enter our awesome give-away, enter here! Sweet Readers, out give-away ends in 3 days, hurry up and join here – it is open world-wide! Beauties, don‘t forget to enter our give-away here! We are giving away five amazing skin tonics and the give-away is open worldwide! November is a gloom month (Christmas is not quit there yet, and everything is just so grey..)…therefore, we would like to treat you readers! We are giving away 5 smooth skin treatments from DanishSkinCare (worth 45 dollars each). To participate you have to leave a comment with your favourite beauty product (or hack). The give-away closes on the 30th of November and will be contacted by email. The give-away is open worldwide. DanishSkinCare is a Danish beauty start-up having gained national stardom producing remedies against blackheads and unclean skin. Their smooth skin treatment can be used as a tonic and will diminish blackheads and other impurities – we love it and you can read our full review here. Gives my skin a great glow. I have super beyond pale face – not matter how much time I spend in the sun – the sun never calls my number back (you get the deal). So after I returned home, after 3 weeks of summer vacations in Italy, and my skin looked like I‘ve spent it in a cellar – I decided that, something radical must happen! Previously using self-tanning products has always turned into a disaster for me. So I had to go for a bulletproof plan (I could not afford more white shirts being ruined or striped legs). Having been a fan of Danish Rudolph Care for a few years – and had high hopes for these self tanning drops (the owner of the brand Andrea, always has the perfect glow so I figured I want that too). You use these drops in your night cream, I use one drop a day in the beginning and now I‘m on two drops. The drops mix easily into my night cream. The result – I have been getting a lot of compliments for my glow – considering I‘m pregnant (and feel like a water buffalo 90% of the time) – I‘m pretty thrilled! It looks very natural, and no stripes – which is a huge plus for me! Lovelies, don‘t forget to sign up to our awesome hair oil give-away by commenting on this post. To win Revlons Unique Ones Superior Hair mask leave your email adress here. The competition ends on the 20th of February and is open worldwide. February is just a boring month, Christmas fun is over, you are back to work and spring seems soooo far away. To make this month a bit more fun we are giving away one Unique One Superior Hair mask from Revlon to a lucky reader. 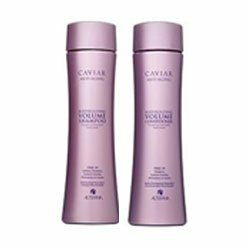 It promises to give your hair some deep repair, make it incredible shiny and silky. Which is just what you need after this long winter! To participate you have to leave your email adress in the commentary field of this post and write a sentence on why you should win. The competition is open worldwide. It ends on the 20th of February. The winner will be contacted by email. It is a plus if you like us on Facebook. Hey dont forget to sign up to our awesome give-away here (last day is tomorrow!). It is open world-wide.